Stems, stalks and cores—three parts of a vegetable’s anatomy that rarely inspire much enthusiasm. 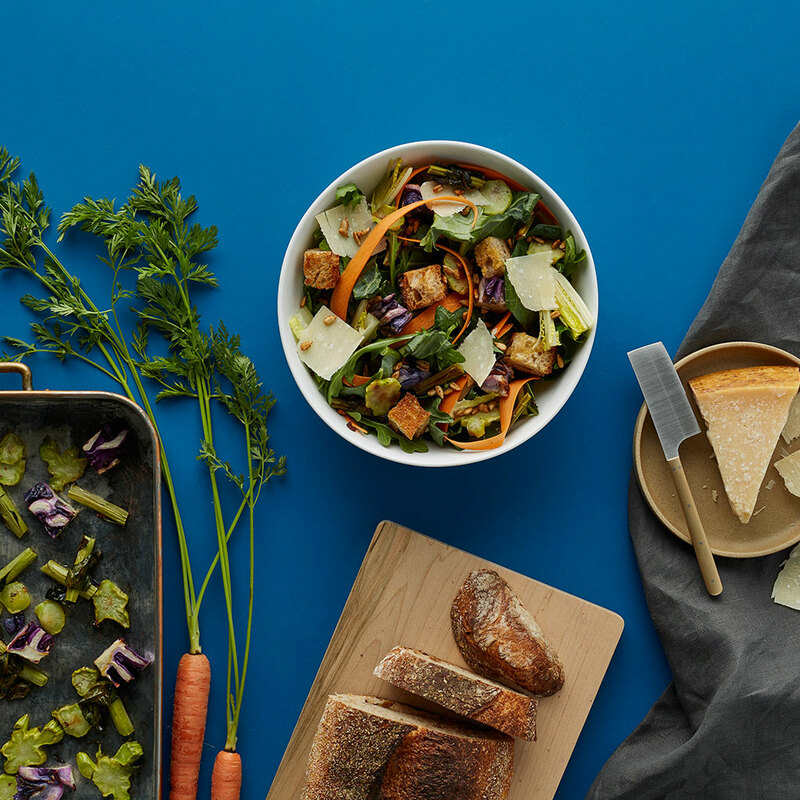 But they star in the new collaboration between fast-growing salad chain Sweetgreen and Blue Hill owner, James Beard Award winner and one of sustainable eating’s most vocal advocates, Dan Barber. The salad, which will hit the menu at Sweetgreen on Tuesday, is inspired by Barber’s excellent pop-up wastED, where he created inventive uses for scraps most people couldn’t imagine eating like salmon blood and skate wing cartilage. Having sampled some of Barber’s previous, delicious work with typically discarded ingredients, it seems to us that perception rather than flavor is what stops people from eating scraps on a regular basis. Once a food is labeled as garbage no one will want to eat it. Hopefully, putting some of those scraps front and center will start to change that perception. The wastED salad will be on sale at Sweetgreen’s New York locations July 28 through September 28 for $8.60. And if the idea of sustainable eating isn’t enough for you to try it, a portion of the proceeds from every salad will be donated to City Harvest.